Global electronics brand OPPO is driving the next wave of the groufie revolution with the launch of its latest dual selfie camera phone, the OPPO F3. For only P16,990, the newest member of the F3 Series family will go on sale starting May 13 in the Philippines as well as in India, Vietnam, Myanmar, and Indonesia. 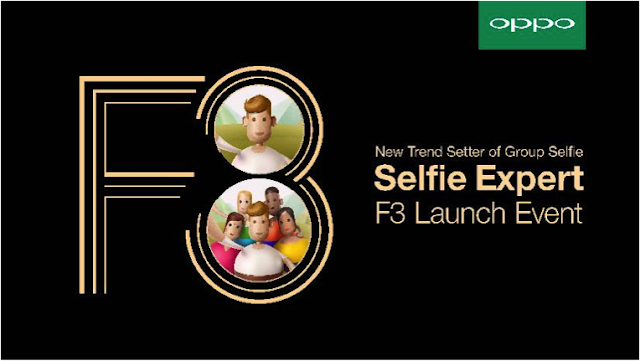 Like its predecessor the F3 Plus, the OPPO F3 is designed with a 16-megapixel selfie-focused main camera paired with a sub-camera capable of capturing groufies through a larger field of view. This wide-angle camera also inherits the earlier model’s distortion-minimizing features to prevent image warping, while OPPO’s Beautify 4.0 photo editing software ensures a fresh look with every snap. Fitting an entire gang inside a single shot will no longer be a struggle, and travel selfies won’t have to crop out the background and look like they were done in the backyard. With twice the size of a selfie camera’s field of view, the secondary camera can easily include either a large group inside the picture frame or the background during a memorable trip—all without a selfie stick. This helps reduce the number of accessories needed for groufies and travel selfies. For added sleekness without compromising gripping comfort, the OPPO F3 is crafted using exclusive U-rail spray technology that allows the body frame width to go as thin as 2.0 millimeters—27 percent slimmer than the F1s. The aluminum body has also undergone 220 fine zirconium sandblasting treatments to achieve its polished, delicate look that appears natural. The screen is built with 5.5-inch 2.5D Corning Gorilla Glass 5 with pre-applied protective coating for unmatched durability and scratch-resistance. FHD in-cell technology further gives the phone display crystal-clear visibility and vividness despite the glare of the sun on the glass surface. To fulfill the user’s need for speed, the OPPO F3’s home-button fingerprint reader provides lightning-fast touch access in just 2.0 seconds—the fastest in the market. Backing the OPPO F3’s advanced features is an octo-core processor supported by 4GB of RAM and a 64GB ROM. A triple-slot tray also accommodates two Nano 4G SIM cards and one micro SD card to expand memory up to 128GB.